[New York, NY – January 24, 2019] – Following the huge success of the first KoreSummit, in New York this past October, KoreConX is now taking the event to the sunny shores of Miami, Florida, in an expanded version. “The first KoreSummit was a half-day event and our guests wanted more. So now we are making it a full-day event, bringing in more experts and covering more topics. This is an invite-only educational summit for entrepreneurs, CEOs, CFO, lawyers, marketers, investors, VC, Family office, shareholders, and advisors to learn more about tokenizing securities,” said Oscar Jofre, Co-Founder & CEO at KoreConX. The goal of the KoreSummit is to provide much-needed education about all things related to tokenizing securities, including (among others): details of what tokenization entails, legal and compliance aspects, marketing a Securities Token Offering “STO”, investor relations post fundraise, highlights of the role of regulated issuance platforms and secondary market trading. The global securities marketplace is changing, and the future is tokenization. Combining corporate and securities law with tokenization facilitates efficient liquidity and fully-compliant transactions in multiple jurisdictions. The keynote, fireside chats will take place in the main hall, while workshops about topics such as the legal requirements for tokenization, will take place in smaller breakout rooms. The event will start at 8:30 am and will end at 5:00 pm followed by a cocktail hour. Breakfast, lunch and the evening cocktails are included for the convenience of the attendees. 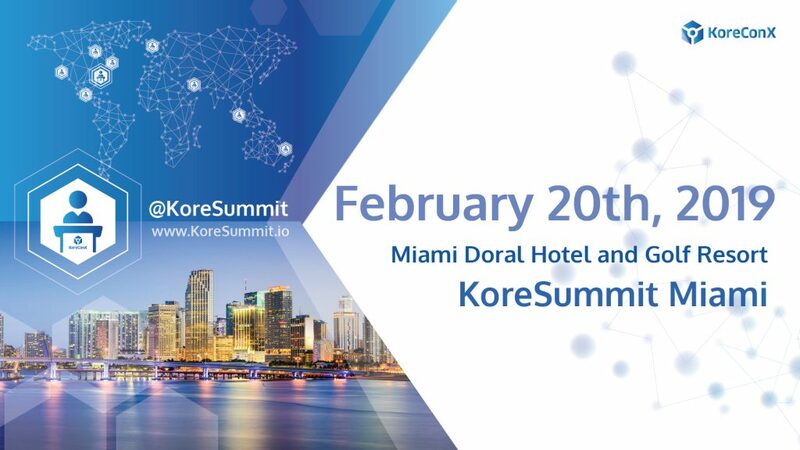 For more information about the KoreSummit Tour and the Miami agenda, visit the KoreSummit website.